This year we used our 7' pink Christmas tree taken with Hipstamatic app to use for our holiday cards. Thanks to Minted for the beautiful design. 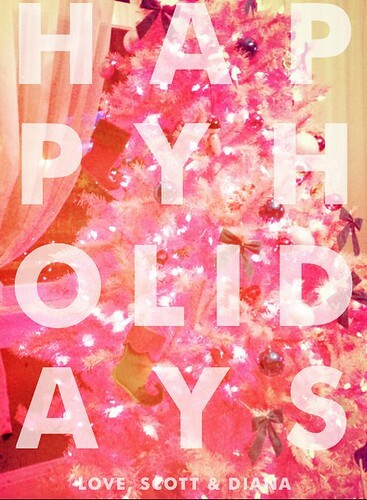 We wish you a joyful and pink holiday! Cheers from the La Counte family! In case you missed it, here is our card from 2010. Maybe next year we'll have time to create something more creative but I do love our pink card this year.